You never know when you'll want to kick back and have a few drinks, so the Collapsible Shot Glass is sure to come in handy when that time comes. Made of food-grade stainless steel, this 1.7 oz shooter can easily go from a 1-inch travel form to a 2-inch tall glass in seconds so you can whet your whistle, anytime, anywhere. 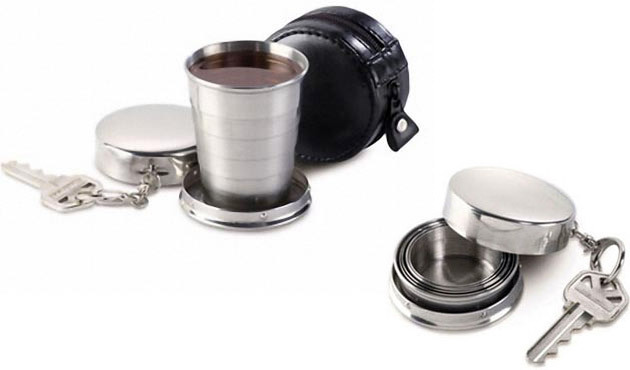 This shot glass comes with a key ring, metal cover, carabiner clip and a handy travel case.